Yesterday was the “International Day for the Abolition of Slavery.” Though many of us may consider slavery only a cruel and shameful historical relic, forced labor still generates upwards of $150 billion each year. In other words, modern slavery is, as it was in antebellum America, Big Business. This past fall, for example, millions of men, women, and children across Uzbekistan were forced by the government to leave their homes, jobs, and schools in order to pick cotton for the state. 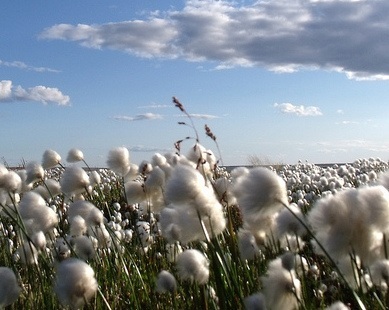 The same thing happens every cotton harvest in Uzbekistan, contributing to the country’s position as one of the world’s leading cotton exporters. Laborers are paid almost nothing, and refusal can be met with public humiliation, violence, or the loss of one’s job or place in school. Uzbekistan exports nearly one million tons of cotton each year, earning the government a yearly profit of more than a billion dollars and a spot as one of the top five cotton producing countries in the world. It does so by forcing its citizens to do the picking for little-to-no remuneration (about six cents per kg harvested). In 2013, as many as five million Uzbek citizens -- or 16 percent of the population -- were forced to pick cotton. The Uzbek system is completely sponsored and directed by the state, with orders emanating from the uppermost reaches of government and filtering down to local apparatchiks. For instance, this past August the mayor of Tashkent, Uzbekistan's capital, ordered the “mass mobilization” of citizens to pick cotton in the Jizzakh and Syrdarya regions. The order was an implementation of the official plan for the harvest promulgated by the Uzbek government’s Cabinet of Ministers in July. In Tashkent, all elements of the city government -- including the police, the health department, deputy mayors, and neighborhood councils -- were tasked with the mobilization and transport of would-be workers from the capital to the cotton fields. Those drafted into the harvest may spend a month or more away from home -- however long it takes to satisfy the government’s quota. This year, laborers were required to gather between 50-80 kg of cotton a day. At night, they slept on cots in local schools or barracks set up directly in the fields. “Coercion forms the central element of the cotton production system in Uzbekistan,” according to the Uzbek-German Forum on Human Rights (UGF), one of the leading organizations documenting the issue. Quotas may be enforced with beatings and public humiliation, of the type that led to the suicide of one farmer in 2014. As in past years, quotas were imposed on schools, colleges, universities, and hospitals, as well as other public institutions. Cotton-picking days are long, and may last between nine and sixteen hours. This year, some students worked picking cotton from 5 a.m. to 7 p.m., after which they were forced to spend an additional two hours gathering firewood. Harvest season also means no weekends, holidays, or other days off. In addition to offending all notions of civil liberties, the Uzbek forced labor system is just plain bizarre. For example, one’s work boss is also one’s boss in the cotton fields and, incredibly, cotton-picking skills may “become a component of annual job evaluations, skewing decisions on promotions.” One can also hire a substitute picker for the harvest season -- those with the misfortune of being drafted into the harvest can, financial wherewithal permitting, hire “a day laborer or homeless person” to fill-in. Historically, forced child labor accounted for roughly half of all cotton picked during harvest season in Uzbekistan, according to Cotton Campaign, a coalition of human rights organisations, trade unions, socially responsible investors, and business organizations. This included children as young as 10, many of whom were required to miss between three and four months of school each year as a result. This year, as in 2012 and 2013, the government did not forcibly mobilized school-aged children on a mass scale. However, the government did not entirely end child labor. In fact, in one region, all seventh - ninth grade classes were cancelled so that the children could pick cotton. In another region, school children were mobilized at the end of the harvest; those classes that failed to pick 10 kg per-child were not allowed to return to school. In 2008, Uzbekistan ratified the International Labor Organization’s (ILO) Convention on the Worst Forms of Child Labour and agreed to work toward eliminating child labour in the country. In April of this year, Uzbekistan signed a two-year “Decent Work Country Programme” with the ILO. This year, with ILO assistance, Uzbekistan conducted its own monitoring of the use of child labor in the cotton harvest. Yet, a number of the Uzbek monitors’ conclusions, such as that all schools operated normally throughout the harvest, were clearly contradicted by evidence and accounts collected by UGF monitors. Other conclusions, including that there were only 49 instances of youths under 18 even being present in cotton fields, are so far from the UGF’s estimates as to raise serious doubts about their legitimacy. Moreover, the government still refuses to engage with independent monitors or civil society, and has thus far refused to allow ILO monitors to assess the government’s recruitment practices, a requirement of the ILO’s Decent Work Country Programme. The harm caused by Uzbekistan’s forced cotton picking is clear. The government makes no exceptions for breastfeeding mothers or those caring for young children or the elderly. At least 17 people died and 35 were injured in this year’s harvest. In one particularly tragic event, a woman’s two children died from smoke inhalation after their home caught fire while their mother was in the cotton fields. At least five people died from apparent heart failure or other complications while picking cotton or immediately after returning from the fields. At least three people, including one 7th grade girl, committed suicide. Thankfully, there are some recent signs of progress. Yet, for each step forward it seems there is a corresponding step in the opposite direction. For instance, as of October 15, 2014, 163 apparel companies -- including Adidas, Disney, Gap, H&M, Nike, and Zara -- have signed a Responsible Sourcing Network pledge not to use Uzbek cotton in their products, so long as the country practices any form of forced labor. Yet, the cotton inevitably finds its way to the market, continuing to inure to the government's benefit. By some estimates, 83 percent of 2013’s harvest was shipped to Bangladesh and China.